SCEA has the PlayStation.Blog, it's great, Europe sadly hasn't followed suit. SCEA has Qore, it's rubbish, and whaddya know, Europe is following suit! SCEE have signed a deal with Future Publishing that will see an "on-console, weekly digital magazine available exclusively through the PlayStation Network". Before you ask, yes, they're claiming the content will be editorial in nature, with demos and DLC - concerningly for people hoping the PSN remains "free" - also on the menu. It'll be offered in the UK first, in early 2009, with other European territories to follow. Pioneering interactive high definition magazine to launch on PlayStation Network Future, the special-interest media group, today announces that it has signed an agreement with Sony Computer Entertainment UK ("SCE UK") to create an on-console, weekly digital magazine available exclusively through the PlayStation®Network. The digital magazine will enable gamers in the UK to download interactive, high definition editorial content directly onto their PlayStation 3 consoles from the PlayStation Network - a first for the UK games industry. The pioneering weekly product will be available to UK PlayStation 3 owners in early 2009 and is expected to subsequently roll-out to other European territories. The deal further strengthens the publishing partnership between SCE UK and Future, which began in 1995 with one Official magazine and today operates on both sides of the Atlantic with a portfolio of print titles and digital content. 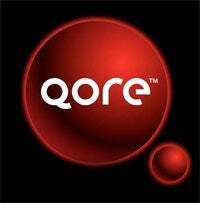 Earlier this year, Future teamed up with Sony Computer Entertainment America to produce Qore™– a monthly digital programme for North American users of the PlayStation Network which has attracted Burger King, Universal Pictures, Activision and Codemasters among its advertisers. Packed with high definition video content, the digital magazine will include news, reviews, features and downloadable content on games, movies and more. Future and SCE UK will work with third parties to incorporate exclusive content – only available to subscribers who purchase the weekly digital magazine. It will also offer advertisers the opportunity to promote their products to millions of UK gamers who are registered to the PlayStation Network in the UK. It will provide advertisers with exclusive branded areas, product showcases and high definition media. Ray Maguire, senior vice president and managing director of SCE UK said: "As PlayStation 3 moves the gaming experience to a more social and competitive online environment, so the natural development in line with our consumers' choice of media is to produce a companion publication in the digital realm. Future is best placed to meet this challenge and produce a perfect partner to the Official PlayStation magazine delivered via the PlayStation Network." Robert Price, Future's UK Chief Executive added: "We are very excited to further strengthen our relationship with Sony, working together on this ground-breaking product. As the publisher of Official magazines and digital content for Sony PlayStation in the US and UK, we are creating powerful integrated media solutions for readers and advertisers across different platforms, in print and online. This product will provide a unique way for advertisers to connect directly with gamers through their consoles using the very latest high definition content."